New Home Builders. Serving Salt Lake City, Provo, Park City, Lehi, Ogden, Bountiful, Sandy, Draper, South Jordan. The leading home builder in Utah for single family homes is Ivory Homes. The total value for Ivory Homes’ construction permits during the first half of 2007 was $120.7 million. The second ranked home builder, Richmond American Homes, posted nearly half of that value at only $66.7 million or 55% of Ivory Homes’ record. The third ranked builder, Fieldstone Homes, attained $52.3 million or 43% of the leading builder’s total home construction value. Ivory Homes has been the leading builder in Utah for the past 15 years and apparently will continue to lead for some time to come. Not only does Ivory Homes lead in total value, but they also lead in the number of home building permits. During the first six months of 2007, Ivory Homes obtained 500 building permits, nearly 200 more than the number two ranked builder--Richmond American Homes--with 308 permits. Fieldstone Homes acquired 239 building permits. 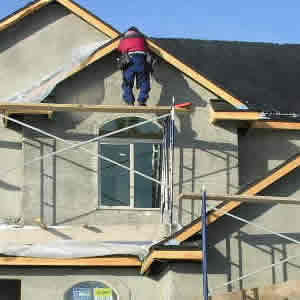 The home builder with the highest average permit value and also having a minimum of 30 building permits is Rainey Homes. This home builder obtained 43 building permits for a total value of $12.0 million. The average home construction permit value for Rainey Homes was $280,945. This home builder averaged $39,457 more per home construction permit than the top ranked home builder. The chart below displays the top 12 home builders in Utah. The highlighted figures display the top rankings by category. Developers and Builders, list your company on this site. Call 801-993-0083. Ranking the top new home builders in Utah. New home construction, luxury home builders, custom home construction, new community and neighborhood developers and contractors for Utah. List of the top twelve home builders in Utah by total home value, number of building permits, and average value per permit. 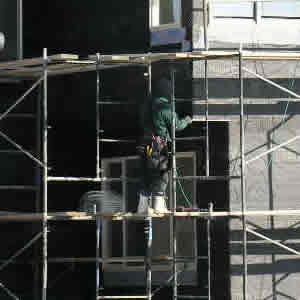 Key webpage topics: developers, builders, community developers, neighborhood development, town homes builders, new homes builders, luxury home builders, custom home builders, residential builders, modular homes builders, Utah condo builders, condominium builders, townhouse builders townhome builders, new homes builders, homebuilders, building contractors, general contractors, residential community builders, and residential contractors. Serving Salt Lake City, South Jordan, West Jordan, Draper, Riverton, Sandy, Murray, Holladay, Midvale, Bluffdale, Herriman, Cottonwood Heights, Park City, Alpine, Lehi, Highland, American Fork, Pleasant Grove, Cedar Hills, Provo, Orem, Bountiful, Deer Valley, Sundance, Farmington, Springville, Salt Lake County, Utah County, Summit County, Davis county, Weber County, Wasatch County, UT.